It’s that time of the year again! Summer heat and glare can be quite brutal when you are sitting in a bright waiting room, dining out, visiting a business, or just trying to view your TV or computer monitor when there’s nothing on the windows! No worries! We have the perfect solution: Solar Shades. Solar screen shades provide an environmentally friendly window treatment that protects the inside of a home or business, while still allowing light to filter in. Solar shades are designed to be the best of all worlds. These solar mesh fabrics reduce glare and solar heat gain, while providing daytime privacy, as well as maintaining a nice view of the outdoors. Solar shades reflect the sun’s rays and absorb heat so you don’t have to spend extra money cooling your home or office. Less use of air conditioning means less harmful emissions polluting the air. Solar shades are made out of recyclable, biodegradable materials that won’t cause excessive harm to the environment. Why spend your summer days sitting in a darkened room just to keep the heat out? Solar shades to the rescue! They protect you from the heat while still allowing natural light to diffuse into the room. They block the direct glare of the sun and reflect heat, so you don’t have to hide from the sun. 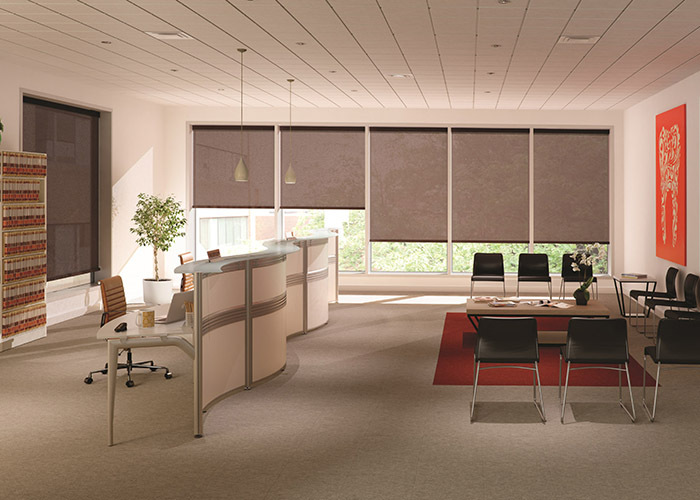 Besides keeping the temperature even indoors, solar shades provide you with daytime privacy. No more nosy neighbors peeking in! Solar shades obscure their view while still allowing you to enjoy your outside view. Solar shade fabrics are widely used in both commercial and home use for solar protection, energy savings, pleasing visual aesthetics and acoustical comfort. These virtually indestructible fabrics can be cleaned if required, and also prevent fading of furniture and upholstery by blocking out ultraviolet rays. Ready for Solar Shades – Call Your Made in the Shade Expert today! You’ve got so many options when choosing solar shades for your home or business. Do you have tall or hard to reach windows? Choose our innovative motorized options for your solar shades. Worried about cords around pets or small children? We’ve got you covered with our cordless option. We are confident that you’ll be able to find the solar shade that suits your specific needs. Call one of our trusted window fashions experts and let us help you find the perfect window treatments for your home or business!